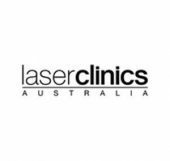 Laser Clinics Australia are the leaders in non-invasive cosmetic treatments and specialise in laser hair removal, cosmetic injections and skin treatments. Laser Clinics Australia pride themselves in helping their clients look and feel their best! Laser Clinics Australia make it easy for clients to feel great about themselves, by delivering affordable non-surgical cosmetic treatments that work.